There are loops to build entire tracks, boost your compositions and even create Abelton Live performances. 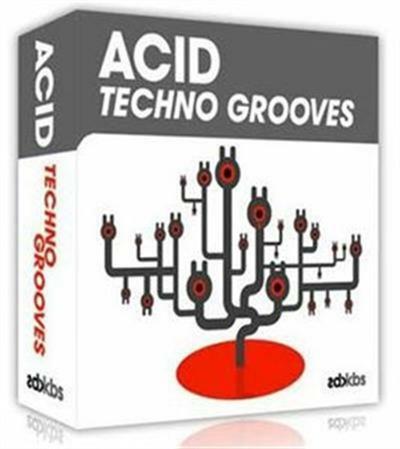 These loops and samples will inspire and aid you in the creation of great techno music! Aicd Techno Grooves brings you driving beats, pumping bass, rinsing acid lines and atmospheric SFX. Drum loops have been broken down to their individual parts and provided as construction drum loops for re-mixing and processing. In addition Acid Techno Grooves contains a large sound bank of drum hits crafted using our Roland 909/808 and processed through our Class A outboard. We have compiled these drum samples to make drum kits for Battery, Redrum, Halion and Kontakt. The pack has been constructed with the user in mind. It has been designed to be easy-to-use, inspiring and an essential sound bank for beginners, intermediate and professional users. All of the content in Acid Techno Grooves is 100% royalty-free. Once purchased, you can use these audio loops in your music releases. All files are provided as 44.1kHz / 24 bit wav files with all loops including additional acidized information for use as acid loops with supported software. For mac users we have also provided all loops as Apple loops (aiff).